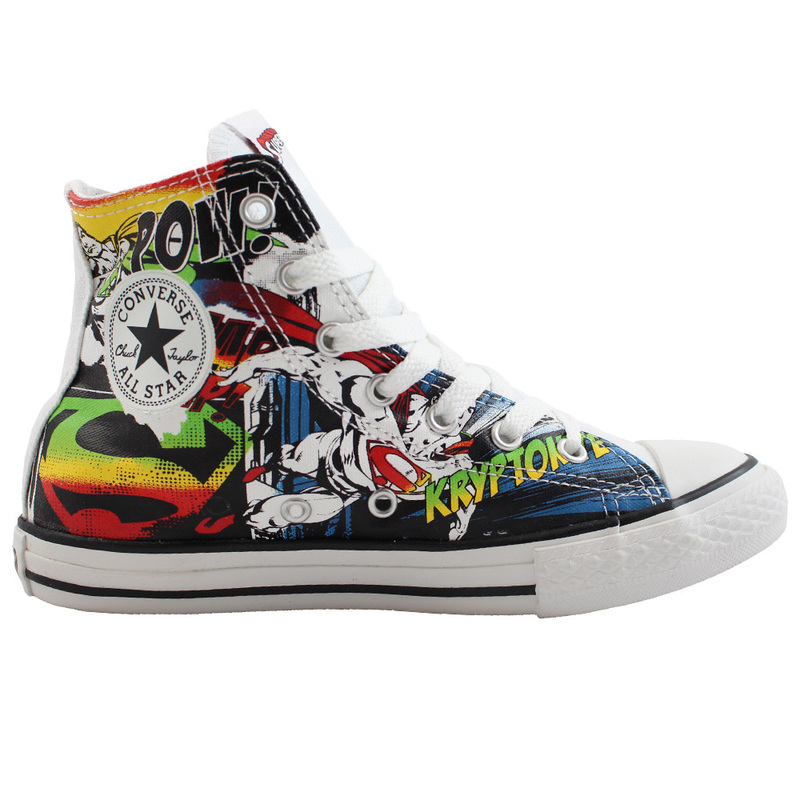 Converse Kids Chuck Taylor Batman Canvas Print Hi. 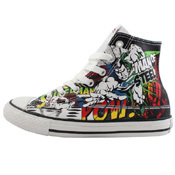 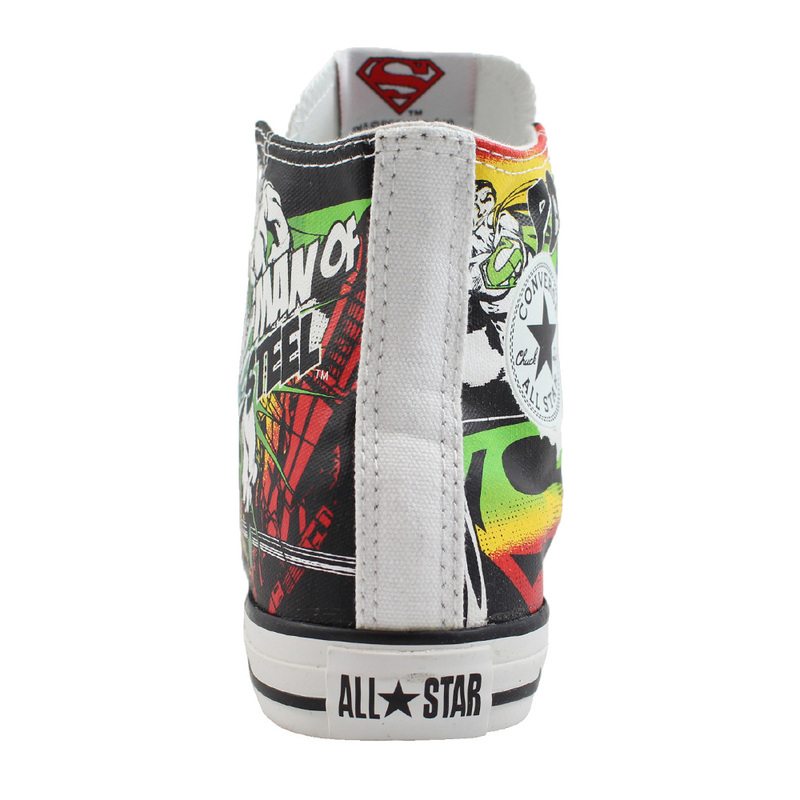 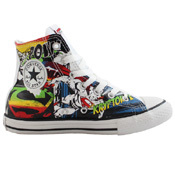 These Converse Kid's Chuck Taylor DC Comics Canvas Print Hi Tops are great for any DC comic fan! 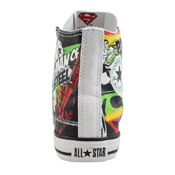 They are the multi-coloured Superman style which are sure to catch everyones eye! 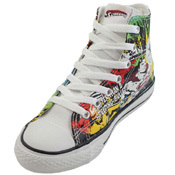 DC Comic Shoes.